A leading provider of driver improvement classes. “Teaching you the safe way to drive!” says it all. 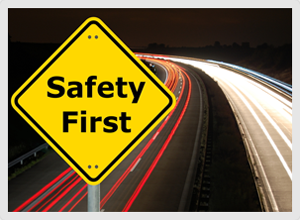 Our goal is to make Virginia roadways safer, one driver at a time! You can avoid accidents by applying a few basic safe driving principles. Our class “The Safety Factor-You!” is dedicated to teaching drivers to become the safety factor when interacting with other drivers on Virginia roads. We are confident that most accidents can be prevented if drivers are better equipped to handle different driving situations in a knowledgeable way. As a leading provider of driver improvement classes, we are informative and informal, offering the best classroom instruction available.We are dedicated to serving the needs of our customers each and every day. Our instructors have been teaching driver’s education for 20 years, and are informative and up to date. We conduct an interactive class where your questions and needs are answered, along with the information you need to be a safer driver.